The pickup truck is one of the great cornerstones of the American landscape. From small pickups making citywide deliveries to wilderness-taming 4x4s, there seems to be a truck to fit any need. For those requiring a full-size workhorse with the capability to haul and tow large loads, the 2010 Ford F-250 Super Duty is an accomplished choice in a small group of challengers. Just like its rivals, the Ford F-250 is able to withstand harsh conditions and haul an impressive amount of weight -- living up to its Super Duty name. Three engine choices offer varying levels of power to suit individual needs, but the real star of the show is the 6.4-liter turbodiesel version that can pull up to 12,500 pounds when properly equipped. Besides the F-250's rugged powertrain, a long list of features and options deliver added utility, comfort and convenience. Several trim levels and optional packages offer many variations of this broad-shouldered theme, from a no-nonsense work truck to a luxuriously appointed hauler. One of the most notable changes for 2010 involves last year's optional Cabela's package, which has replaced the FX4 off-road model as a trim level. Other changes include wider availability of Ford's Sync voice activation system and the Harley-Davidson package being limited to diesel models. Outside of the many choices within the 2010 Ford F-250's lineup, buyers are left with only a few alternatives in this class. Chevrolet's Silverado 2500 HD pickup (or its GMC clone) is the closest competitor and delivers a bit more towing ability. The new Dodge Ram 2500 can haul even more, while its interior is about as good as it gets in the segment. It's also worth noting that next year's redesigned F-250 promises a host of changes, most notably more powerful engines and a six-speed transmission. 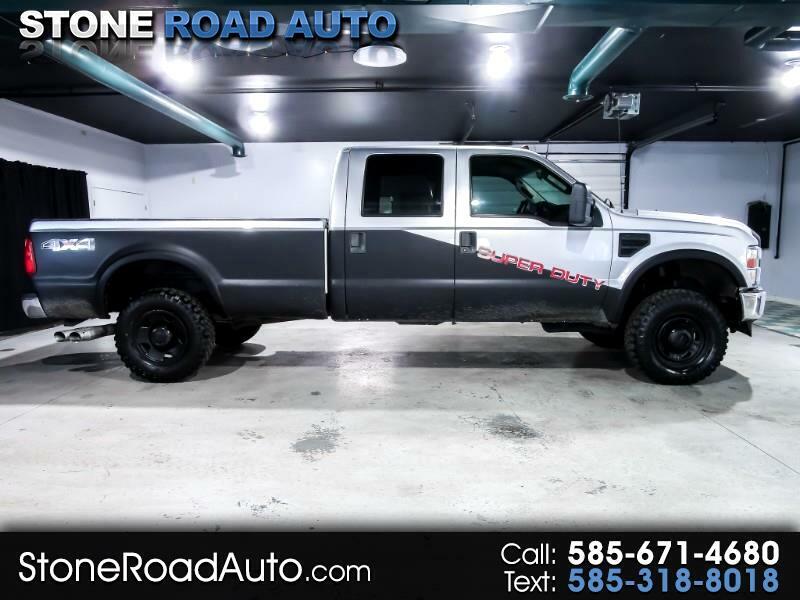 At the end of the day, though, the 2010 F-250 has solid work-truck capabilities and plenty of features and options to take on the most challenging demands.